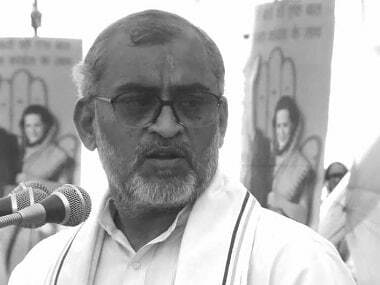 Satyavrat Chaturvedi is a Member of Parliament (MP) and a seasoned Congress leader who has risen from the ranks. He was first elected for the Madhya Pradesh Legislative Assembly way back in 1980 and since then, on several occasions, he has been elected as MLA, MP to both the Lok Sabha and the Rajya Sabha, and has held several important positions in the party. He is one of the most articulate voices in Congress and is known for his original thoughts. He comes from a family of freedom fighters and thinks that Congress is in his blood. In a candid chat with Sanjay Singh of Firstpost, he eloquently spoke of what ails the present day Congress, what is the way forward, and the way he perceives the leadership of Sonia and Rahul Gandhi. FP: The pictures out in your office is of the Congress’ who’s who. There is much talk of an old guard versus new guard conflict in Congress. If an organisational change is done accordingly, giving primacy of position to young guards, most leaders seen in those pictures will become history. Do you agree? Chaturvedi: It never happens that way. In any party, there is always a mix of youthful energy and elderly experience. That combination is always needed. The old guard vs new guard debate is nothing new, this is not happening for the first time. This debate happened even during the times of Jawaharlal Nehru, Indiraji, Rajivji, and it so happened that both the groups had been adequately represented in the leadership. This trend will continue in the future as well. FP: If that is the case, then why is it being debated so intensely? Chaturvedi: Whenever we are not satisfied with our present, we talk of change and the debate begins from there. FP: Does this mean that there are problems from within. What are they? Chaturvedi: The process of accountability has weakened in the organisation. That is affecting the party. As a result of this, we have lost direction. We have drifted away from the path that we should have taken. FP: Can you elaborate on that? Chaturvedi: Congress was always identified as an organisation that championed the weaker and underprivileged sections of society. In the last few years, this identity has been broken (khandit hui hai). If you look at the past, the Congress brought land reforms, zamindari abolition, abolished the Privy Purse, the 20-point program and so on. All our programs were aimed to serve the interests of the common man on the ground. FP: Did the Manmohan Singh regime not pay attention to that? Is he responsible? Chaturvedi: It goes beyond that. We strayed from the path about two decades ago. 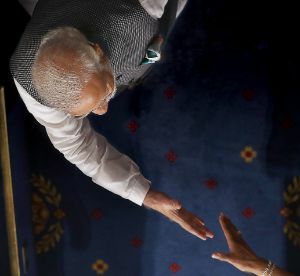 Congress’ image, as it is perceived to be now, is that of an elite class party. Dalits have gone away from us. The minorities which were with us since independence chose to move away; workers, farmers were the classes which were inseparable from us. But that is not so any longer, all these classes represented our core. FP: Your party’s charge is that Narendra Modi and the BJP are elitist, that they have a upper and middle class support base. Can you comment on that charge? Chaturvedi: That could be the case. But I am talking about my party. The question is that what is the common perception about our party? And you know, in politics it is the perception which the matters most. FP: Talking about perception, does Congress have the pro-minority, anti-majority tag? Chaturvedi: We have not remained a pro-minority party, and our opponents accuse us of being anti-majority; but that has not been accepted by the nation. FP: But the Antony Committee talked about the pro-minority perception issue. Chaturvedi: That could be his take. See how many persons of minority community are in the present leadership position in Congress – Manmohan Singh, AK Antony, Ahmed Patel, Ghulam Nabi Azad and Shakeel Ahmed. FP: Are you saying that the pro-minority perception is not correct? Chaturvedi: Yes. Just go through the list of persons in a leadership position in the party. FP: You talked about the need for cardiac surgery in the party to revitalise it. What did you mean by that? Chaturvedi: What I meant was that whatever changes has to take place, they should not be mere cosmetic changes. We need to do proper brainstorming (chintan) for decision making. FP: Digvijaya Singh was the first to talk about such a surgery. Were you in any way responding to him, when you talked about the cardiac surgery? Chaturvedi: My principal objection to him (Digvijaya) was that a person who has been a part of leadership, and in whose continued presence the party has landed in this position is talking about such things to hide his own weakness, and protect his own position. He has been the chief minister of Madhya Pradesh for 10 years and see where has the party reached. Also, see the states where he has been Prabhari (central party in-charge) and what is the party position there. That person is today talking about surgery. If he was sincere, why didn’t he take the initiative and hand over his resignation. Unka kathan ek tarah se peshbandi thi (In a way, he was trying to ring fence self). FP: What’s your concept of a cardiac surgery in the organisation? Chaturvedi: Pandit Nehru had a great vision. He brought programs to bring about socio-economic change. He recognised the importance of time and the direction in which India had to move. By the time Indiraji came, there was a need to make some change. 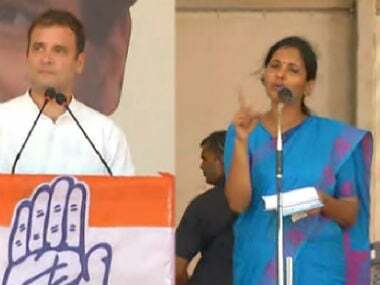 She realised that and gave the Garibi Hatao mantra and to ensure its implementation, she bought out the 20-point program, a kind of foundation for Congress to work for years. Then came Rajivji. He was a dynamic modern age visionary. He put the nation on the right trajectory for growth – IT, telecom, TV, computer, which were in sync with changes that were to be brought about in the 21st Century. Today’s new generation, either of underprivileged or of general category, have their own aspirations. A new thought process and working style has come up. Dalit, tribal and such other groups feel that the Congress has nothing new to offer to them. FP: Is it then not the failure of leadership of Sonia and Rahul Gandhi? Chaturvedi: They are the leaders of the party. But this Chintan has to start from below. If the Chintan of the whole of Congress gets limited to only a few people, then change can’t be brought about. Under Nehruji, Indiraji and Rajivji, we were in one party rule. Now with the changed situation, should the party not evolve? Purane Karyakram apni wo chamak kho chuke hai (old programs have lost their sheen). FP: There is lot of speculation around the imminent elevation of Rahul Gandhi as party president. Do you think it’s time for him to take over, irrespective of the fact that Congress has lost one election after another? Chaturvedi: I don’t want to be dragged into this debate. There is a lot of debate around this subject, but no decision is being made. Whatever has to happen, either this way or that way, should happen. The indecisiveness must end. 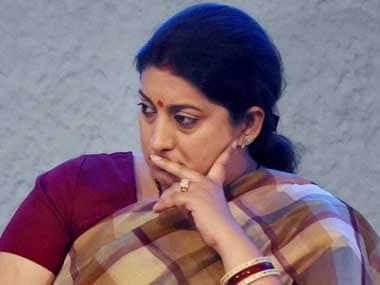 Kinkartvya vimudh ki sthiti khatam honi chahiye. FP: Do you think that it is time for Congress to consider looking beyond the Nehru-Gandhi family? 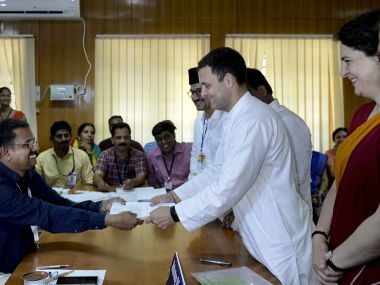 Chaturvedi: Those who say why only the Nehru-Gandhi family, should also take into account that Congress has had phases where the Nehru-Gandhi family was not at the helm – during periods of PV Narshimha Rao and Sitaram Kesri. Did we gain or did we lose during the period when Gandhi family was not there. We had to lose a lot. Why did Congress’s fortune change when a reluctant Sonia Gandhi agreed to take command of the party after a great deal of persuasion? We ruled at the centre for 10 years and at one point succeeded in forming the government in 17 states. Even today, the kind of faith people have in the Nehru-Gandhi family can’t be seen for anyone else. FP: Have you had a chance to convey your sentiments to the leadership? Is that taken kindly? Chaturvedi: There are a few people who speak the truth and even fewer who have the capacity to hear the truth. People like me speak without fearing about the benefit or loss, because I have no mal-intention; I speak what I believe is right, and not depending on whether someone is listening or not. Because I have grown with Congress traditions, Congress is in my blood. I speak because my conscience will know that I have honestly done my duty. So when we close our eyes, we don’t close it with guilt.